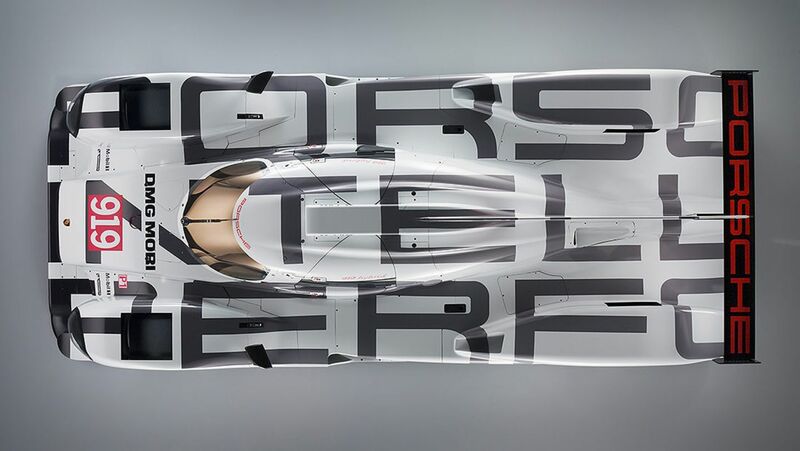 Development work on the Le Mans prototype—the 919 Hybrid—has been running full speed ahead. The factory team has been testing this complex racing car since the summer of 2013. We joined them in Monza. enable radio communication between the racing engineers and the drivers. “Alpha four copy, alpha four copy!” comes the response fractions of a second later from the cockpit of the LMP1 racing car, against a background hum of nearly 300 km/h. LMP1 factory and development driver Timo Bernhard confirms the instruction from his racing engineer Mathieu Galoche and turns switch A, as in “alpha,” on the steering wheel to the desired position. Some 22 dials and buttons are arrayed on the panel atop the steering column. The team of around fifty people has been on the course since seven in the morning, preparing the car and setting up the equipment in the pit. An external tankless water heater is connected with the cooling and lubrication circuits on the 919 Hybrid to bring all of the fluids up to operating temperature. A cold start would not sit well with the direct-injection Turbo engine. The car’s wheelless chassis rests on massive supports in the middle of the pit, nearly all of its body parts still missing. By 7:30 a.m., the preparations for starting the engine are finished, and the engineers in charge give the green light. “Fire up” is what the first start is called, followed immediately by “pit run.” As Seidl explains, “That means we shift the gears up and down and bring the engine up to the right temperature. We then conclude the program by checking all of the car’s systems.” At 8:00 a.m. there’s a final briefing for the entire engineering team and the lead mechanics. Now the drivers are also involved. The day’s agenda is run through once again. At 8:45 there’s a final radio check. At 8:50 the driver climbs into the seemingly tiny cockpit. It looks like it might belong more to a plane than to a car. Racing engineer Galoche asks two brief questions via radio: “Engine ready? Systems ready?” The relevant engine and hybrid system engineers answer in the affirmative. Precisely at 9:00 a.m. the car rolls out of the pit. Every movement and every action of the entire team follows a set scheme. The test program is starting. Before we can even arrive at this moment, a whole set of machinery needs to be put into place. The racecourse has to be booked up to a year in advance. Two of the company’s own racing trucks plus two rented 30-ton semitrailers bring the LMP1 racers and materials onto the track. Tire partner Michelin has also sent two trucks. On-site preparations begin two days before the first test run. In 2013 alone, the LMP1 team carried out ten of these test runs of three to four days each at international courses. Timo Bernhard keeps pushing the prototype’s limits in Monza. The high curbs in the narrow chicanes present a special challenge to the 919 Hybrid. “The curb is part of the ideal line in racing,” he says. “Even in endurance racing. The regulations say you’re allowed to drive on it, so that’s what we’re doing.” The car is nearly knocked over in the process, running for an instant on only two wheels. As Bernhard explains, “We often have situations in races when we suddenly have to swerve around a slower car. 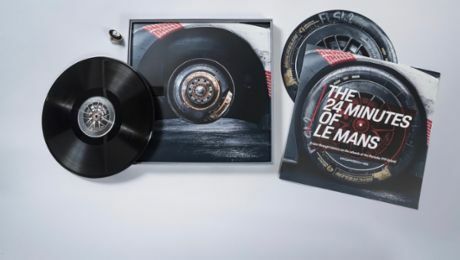 And sometimes the only way to do that is over the curb.” On the course in Le Mans, the car literally flies over the high curb in the last chicane before the start–finish stretch—lap after lap, for 24 hours. The Porsche LMP1 has to master this hurdle as well. Here in Monza, it’s the first chicane, Rettifilo, and the second one, Variante della Roggia, that are giving Bernhard a good shake. For Bernhard, who joined the Porsche factory team in 2002, driving in Monza is always a special experience. “Monza is one of the world’s magical places,” he says. “You can still see the old steep curves here, which they even used for Formula One races until 1961. Amazing! If you try to run up them, you can hardly stay on your feet.” Bernhard drove his first race in Monza in 1999, in the Formula Ford European Championship. Fourteen years later he’s now doing test-drives for what may be the most ambitious racing project in Porsche’s history. In developing this highly complex hybrid racing car, the Porsche engineers had to start from a blank slate. There weren’t any templates. A positive consequence is that they had to utilize many new technologies in keeping with the regulations, which will also be relevant for Porsche standard-series cars in the future. In addition, the engineers faced the extraordinary task of incorporating hybrid components and cutting-edge energy recovery systems into a car for endurance racing.